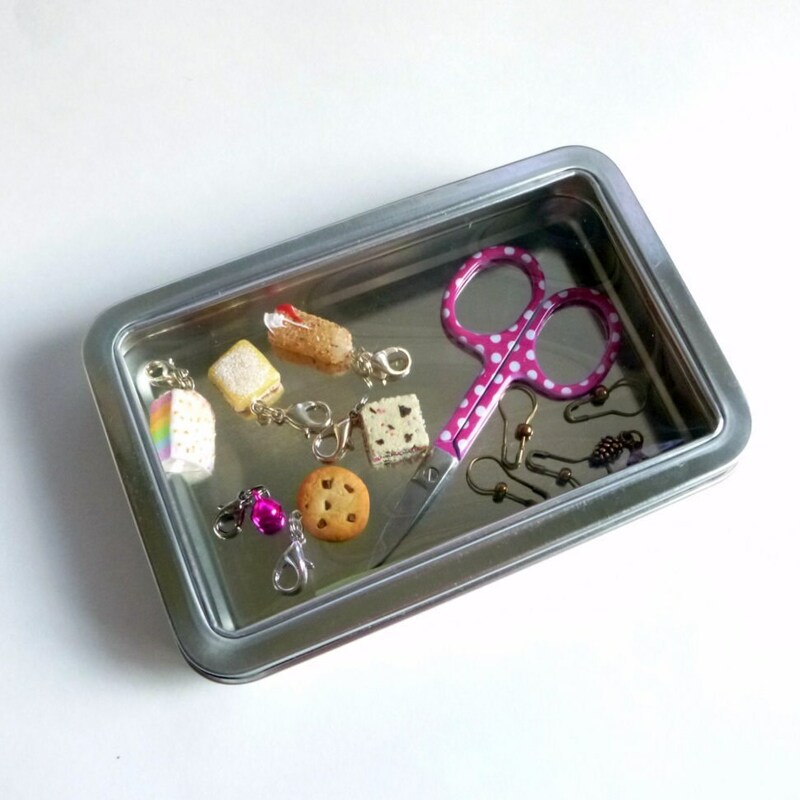 Need somewhere to store your growing collection of stitch markers and progress keepers? 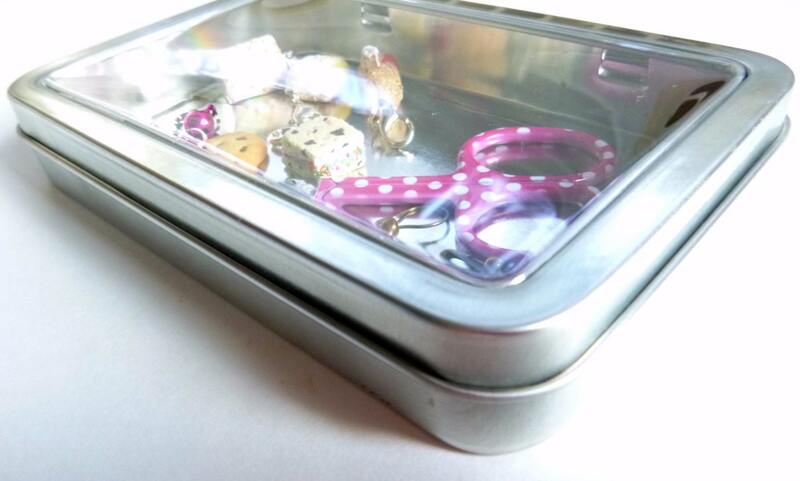 This little tin is the perfect solution. If you are anything like me, you have several notions pouches, cases, etc. that live in different project bags or corners of your home. While it's nice to have multiple storage options, sometimes it's frustrating to have to rifle through each one to find exactly what you're looking for. 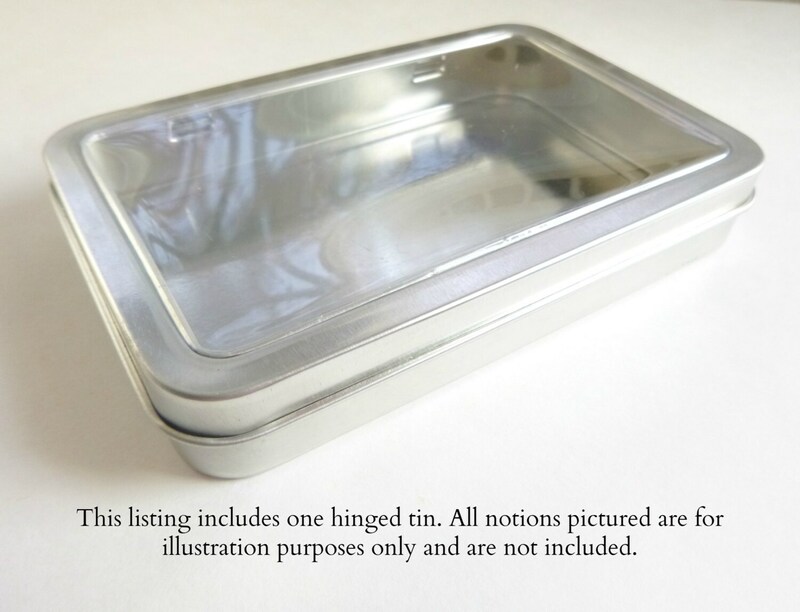 I love that this little tin has a clear top, so you can see exactly what's inside. 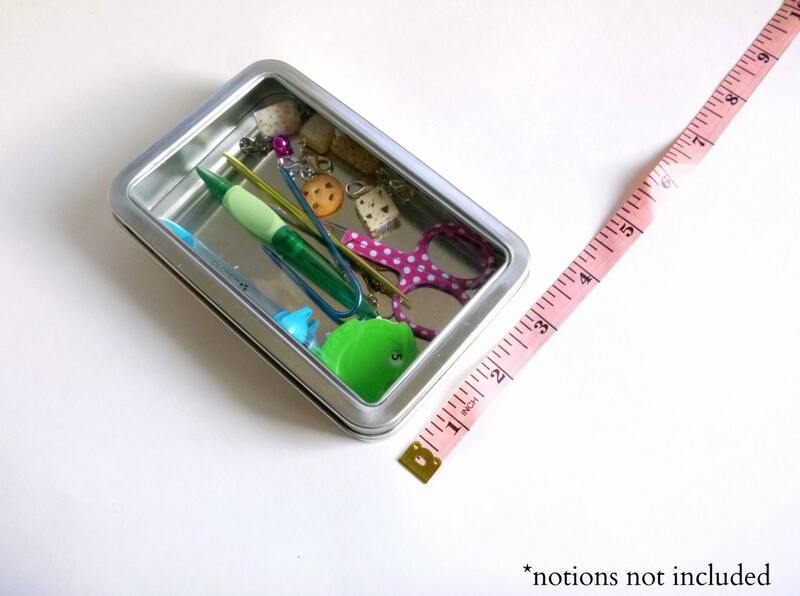 The dimensions of this tin are 5.5 x 3.7 inches - plenty of room for all your knit or crochet notions. 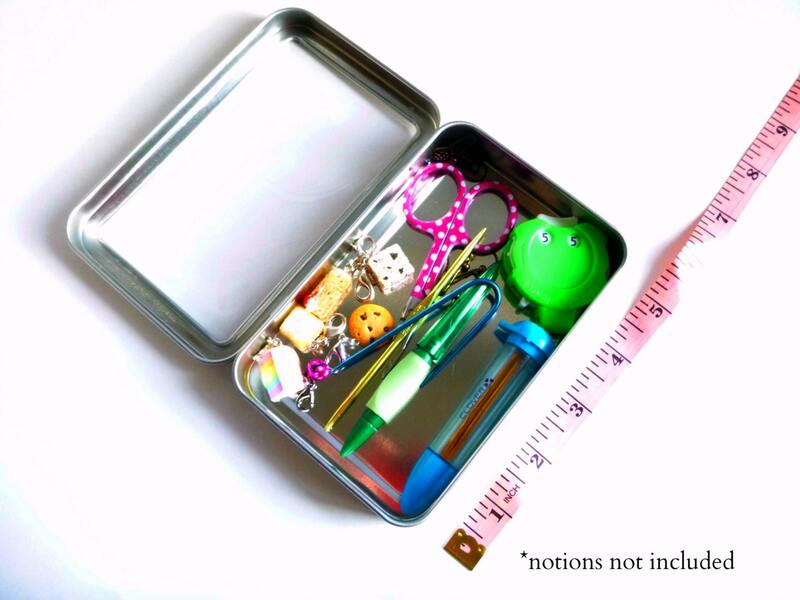 PLEASE NOTE: All notions pictured are for illustration purposes only and do not come with the purchase of this tin.